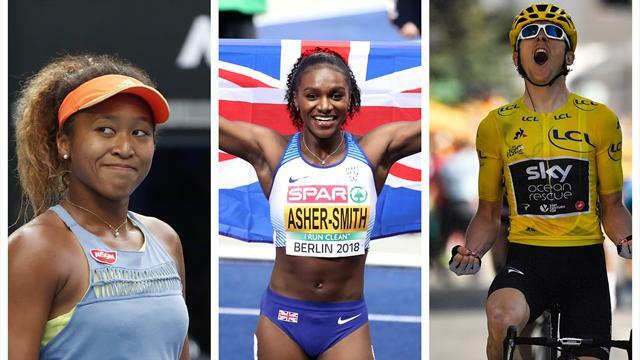 There were some remarkable individual performances in 2018, but which one athlete stood out above all others in the calendar year? We asked Eurosport's journalists to make their case... and you can have your say too. Vote at the bottom of the article and post in the comments with your suggestions. It’s hard to look beyond Dina Asher-Smith. The 23-year-old was the fastest woman in the world in 2018 over both 100m AND 200m… that’s the first time a British sprinter has ever achieved such a feat. Impressive though that is, it’s even more significant when you take into account the serious injuries she’s had to deal with in the last few years. One watch of her winning leg in the 4x100m relay at the European Championships is evidence that the Brit is a class apart. But not only is Asher-Smith a world-class athlete, she also wins with a smile on her face and is never too busy for an interview – that’s a breath of fresh air in a sport packed full of egos. 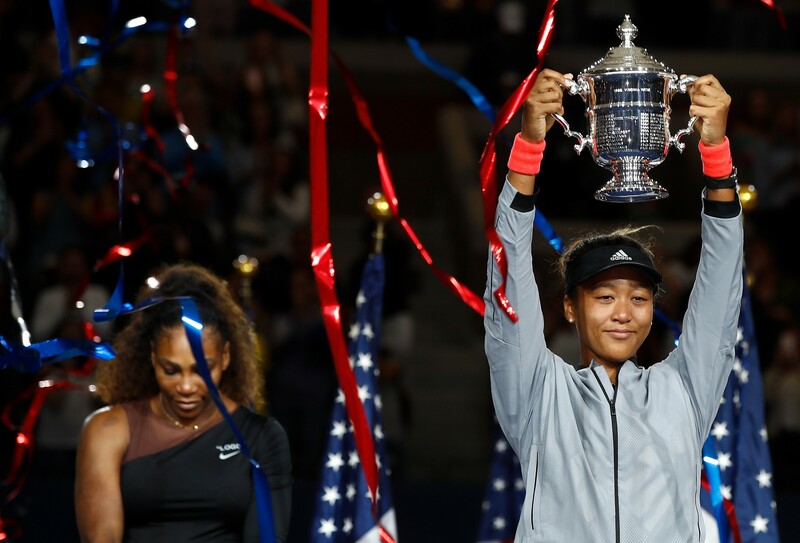 Naomi Osaka. All the trappings of a sporting fairy tale, bar the racism. A classy response to unfortunate circumstances and an exciting new star on the women's tour. Geraint Thomas. A remarkable story of perseverance and belief. He finished second-last in the Tour on his debut in 2007 and beat not only the other incredible athletes but also his own team’s tactics when they were unsure whether to back him as leader until Stage 11. Simona Halep. The Romanian picked up her first Grand Slam at Roland Garros, and her consistency throughout the year meant that she ensured the World No.1 spot was hers for a second successive year. Injury kept her out of the WTA Finals in October, but a fully-fit Halep will be firing as from January in Melbourne. Novak Djokovic. Elbow surgery in February to Wimbledon winner in July, and then backing that up with US Open glory and a return to world number one. A remarkable return which has once more reminded the younger players that this old guard will not go quietly. Dina Asher-Smith - what a year for the 23-year-old British sprinter. Not satisfied with her bronze medal at the Commonwealth Games in April, she cleared up at the European Championships in August, storming to gold in the 100m and 200m sprints before capping it off with another gold in the 4x100m relay. Lizzy Yarnold. In a Winter Olympic year the achievements of Team GB should be at the forefront of any yearly review considerations and in 2018, Yarnold became the first British athlete to ever defend an Olympic title. She did so despite coming into Pyeongchang in poor form. Hers was an incredible achievement which deserves wider acclaim. Chloe Kim showed her otherworldly talent winning halfpipe gold in PyeongChang. What I enjoyed most was her uncommon grasp of sport’s real importance. Work hard, take it seriously, do your best; of course - and Kim’s best was exceptional. But also enjoy yourself, have fun with your rivals and treat the occasion as a joyous festival rather than a life-or-death situation. This positivity characterised the snowboarding and freestyle skiing. It’s almost like these youngsters are on to something. It’s hard to look past Dina Asher-Smith. The 22-year-old became the first British women to win triple European Championship gold, claiming the 100m, 200m and 4x100m relay titles in Berlin. In winning the 100m title, she set the joint fastest time in the world and I fully expect her to double up at the World Championships in Doha in 2019. A genuine superstar in the making! LeBron James. Yes he didn't win a final ring in Cleveland but in 2018 he was a walking highlight reel, arguably playing some of the basketball of his career at the ripe old age of 33. 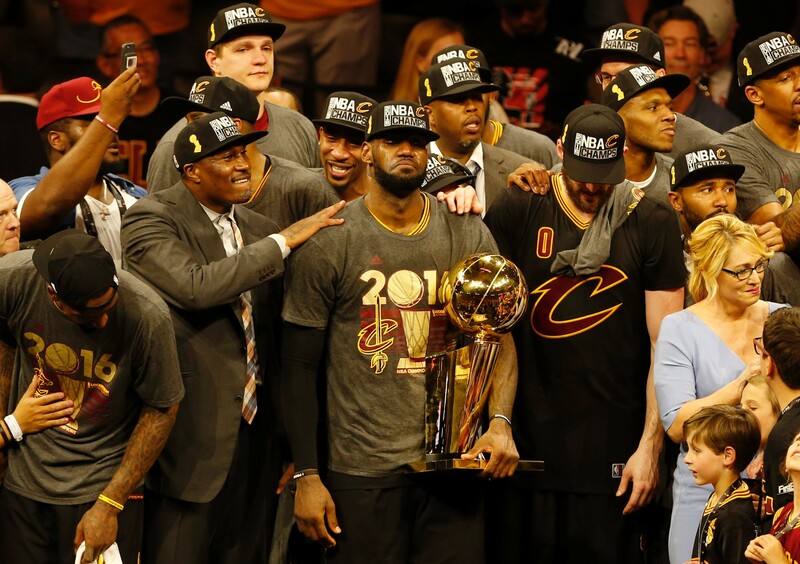 That James couldn't stop the Golden State juggernaut should not be used as a failing, that he managed to get a fairly average Cleveland side so close is one of his greatest achievements. Off the court he continued his tireless work as a social campaigner and his speech at the opening of his new I Promise School in Ohio was one of the most emotional and powerful monologues of the year. From his astonishing no-look pass against his new team-mates to the outrageous self lay-up and dunk in the finals against Golden State, via a behind-the-back nutmeg pass to himself against Philadelphia, 2018 was the year of LeBron. “Golden Marit” Bjorgen cemented her legendary sporting status with a remarkable five-medal haul at PyeongChang 2018 – more than any other athlete involved. At the age of 37, she cruised to victory in the 30km cross-country race to win her eighth Olympic title on the final day of the Winter Games. With 110 World Cup wins, 18 World titles and more Olympic titles than any other female athlete, it was the ultimate way to end her illustrious career. Dina Asher Smith. Finished the season with world-leading times in the 100m and 200ms. Won three golds at the European Championships in Berlin. Yea, that is decent. Who was the athlete of the year?